The founder of the CT Injury Law Center - Attorney Bruce Raymond began his legal career in 1989 as a personal injury attorney. Since then, he has handled over 1000 litigated cases to a conclusion though successful jury trials and settlements. For over twenty years, attorney Raymond has been fighting and winning wrongful death cases, car accidents suits, product liability cases, slip and fall accident cases in state and federal courts in Connecticut. He handles complex injury and medical malpractice cases as well as cases involving traumatic brain injury (TBI), quadriplegia, paraplegia, and traumatic amputation. Attorney Raymond has experience handling cases involving fires, explosions, industrial and construction accidents. He has directed forensic investigations of building collapses, product failures, recalls and complex accidents of many types. 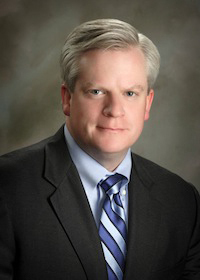 Attorney Raymond grew up in Connecticut and has lived, or attended school in Newtown, Hartford, Manchester, Vernon, Tolland, Hebron, Storrs, West Hartford.